When it comes to adaptations of Jane Austen novels, I tend to stick with a trio of titles – ”Pride and Prejudice”,”Emma” and ”Sense and Sensibility”. 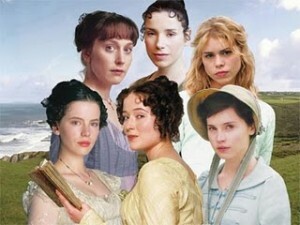 Before this year, I have never seen a screen adaptation of any remaining Austen novels. 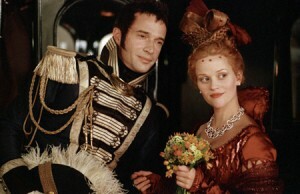 Until I saw the 2007 adaptation of her last completed novel published in 1818, ”Persuasion”. 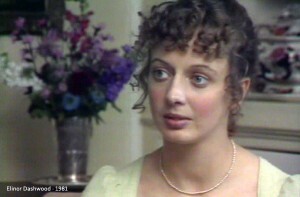 Directed by Adrian Shergold, ”PERSUASION” told the story of Anne Elliot, the sensible middle daughter of a vain and spendthrift baronet named Sir Walter Elliot. At the age of 19, Anne had fallen in love with a young naval officer named Frederick Wentworth. 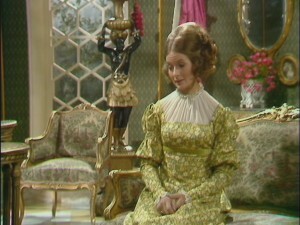 But due to his lack of fortune and family connections, Sir Walter and Anne’s friends expressed displeasure at the idea of her becoming Mrs. Wentworth. But it was a family friend named Lady Russell who persuaded Anne into breaking off her engagement to Frederick. Eight years later, the Elliot family found themselves in financial straits due to the careless spending of Sir Walter and his oldest daughter, Elizabeth. They ended up leasing their house and estate – Kellylynch Hall in Somersetshire – to an Admiral Croft and his wife. The latter turned out to be the older sister of the now Captain Wentworth. While Elizabeth and Sir Walter set off for their new residence in Bath, Anne remained behind to take care of further business in Somersetshire; including taking care of her hypochondriac sister Mary Musgrove, who is married to Charles Musgrove and living in a nearby estate. During one of his visits to his sister, Frederick re-entered Anne’s life. He had risen to the rank of Captain and has become rich from prize money awarded for capturing enemy vessels during the Napoleonic Wars. Frederick also became viewed as a catch by every eligible young woman – including her brother-in-law’s two sisters, Louisa and Henrietta Musgrove. But Anne suspected that Frederick had not forgiven her for rejecting his offer of marriage so many years ago. And both end up learning how to overcome their personal demons in order to let go of the past and find a new future together. 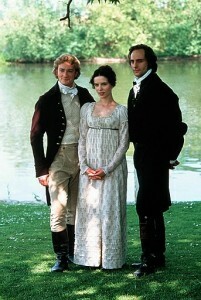 Hands down, ”PERSUASION” has to be the most emotional Jane Austen tale I have ever come across. In fact, I would go as far to say that this tale literally had me squirming on my living room sofa in sheer discomfort during many scenes that featured Anne Elliot and Frederick Wentworth. Or . . . 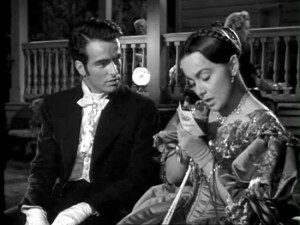 I found myself heaving with frustration – especially during the movie’s last ten to fifteen minutes, as Frederick made an effort to emotionally reconnect with Anne, while the latter’s family continued to put obstacles in her way. However, it eventually struck me that the main barrier between Anne and Frederick’s reconciliation came from the two lovers. I would probably go as far to say that the couple’s personal demons over the past broken engagement perpetrated the entire story. And I truly enjoyed this – in a slightly perverse way. Thanks to screenwriter Simon Burke’s writing and Sally Hawkins’ performance, I came away with a feeling that Anne had existed in a fog of resignation ever since her rejection of Frederick’s proposal, eight years ago. Aside from struggling to keep her family out of financial straits – despite Sir Walter and Elizabeth’s spending – I wondered if she had spent all of those years flagellating herself for allowing Lady Russell to persuade her into giving up Frederick. Her self-flagellation seemed to have continued during moments when Frederick either snubbed her or when their past connections came up in conversation. Frederick’s attitude did not help matters, considering that he spent most of the movie coldly rebuffing Anne or wallowing in resentment. This especially seemed to be the case after he learned that Anne had rejected another suitor after Lady Russell (again) persuaded her that he would be an unsuitable match for her. Frederick’s anger and resentment assumed a righteous tone following that revelation. His attitude ended up blinding him from the fact that his friendliness toward the Musgrove sisters – especially Louisa – had led many to assume he was seriously interested in her. At that moment, Frederick realized two things – his inability to forgive Anne had nearly led him to a marriage he did not desire; and that he still loved her. In other words, ”PERSUASION” had the type of romance that really appealed to me. I found it complex, difficult and slightly perverse. 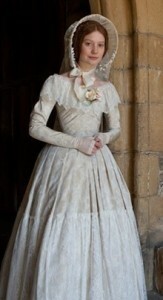 In the movie’s third act, Anne joined Sir Walter and Elizabeth in Bath. She became acquainted with an old friend named Mrs. Smith. She also acquired a new suitor – her cousin, the widowed and now wealthy Mr. William Elliot. Unfortunately, the William Elliot character proved to be the story’s weakest link. 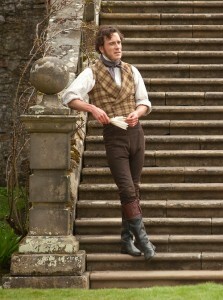 Many fans of Austen’s novel have complained that Simon Burke’s screenplay failed to adhere closely to the author’s portrayal of the character. I have read a few reviews of the 1995 adaptation and came across similar complaints. In the Austen novel, William Elliot happened to be heir to Sir Walter’s baronetcy and the Kellylynch estate upon the older man’s death due to a lack of sons. Fearing that Sir Walter might marry Elizabeth’s companion, Mrs. Clay, and produce a son; William set out to ensure his inheritance by re-establishing ties with Sir Walter and marry one of the latter’s remaining single daughters . . . namely Anne. I can see why many have criticized the movie’s portrayal of William Elliot. 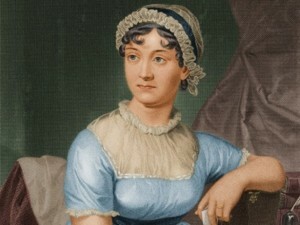 But I find it interesting that many have not considered the possibility that the fault originated with Austen’s novel. Think about it. Why did William went through so much trouble to court Anne? Could he not tell that she had little interest in him? Why not court the daughter who did express interest – namely Elizabeth? And why did William believe that a marriage to Anne or any of Sir Walter’s daughters would secure his inheritance of the Elliot baronetcy and Kellylynch? How would such a marriage prevent Sir Walter from marrying a younger woman capable of giving him a son? After all, the man remained a vital and attractive man at the age of 54. And even if William had prevented Mrs. Clay from marrying Sir Walter, there would be other eligible young women (preferably wealthy) that would not mind marrying Sir Walter in order to become Lady Elliot and mistress of Kellylynch. 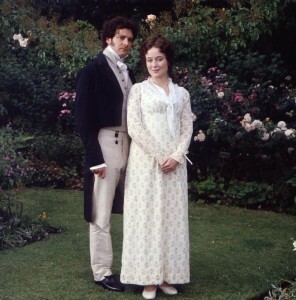 Personally, I feel that the William Elliot storyline in the novel was a contrived and flawed attempt to provide a romantic complication for Anne and Frederick. 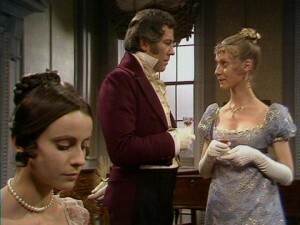 And instead of re-writing Austen’s portrayal of William or getting rid of him altogether, Burke and director Adrian Shergold decided to vaguely adhere to the literary version. 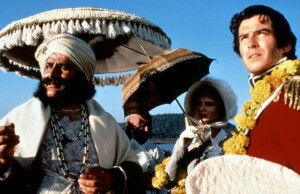 Another problem I had with ”PERSUASION” turned out to be the supporting cast. Well . . . some of the supporting cast. Poor Tobias Menzies could barely do anything but project a bit of smugness and false warmth with the poorly written William Elliot character. And if I must be frank, I could not remember the faces of characters like Mary Elliot Musgroves’ husband and sisters-in-law, the Crofts, and Mrs. Smith. Mind you, it was nice to see television and movie veteran Nicholas Farrell in the role of the older Mr. Musgrove. 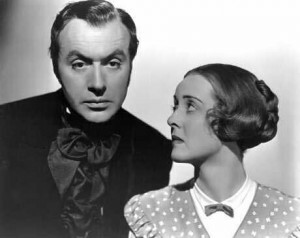 Fortunately, I cannot say the same about those who portrayed Anne’s immediate family, Captain Harville and Lady Russell. The always competent Anthony Stewart Head gave a spot-on performance as the vain and arrogant Sir Walter Elliot. One can only assume that Anne had inherited her personality from her mother. Both Julia Davis and Amanda Hale were memorably amusing as Anne’s sisters – the equally vain and arrogant Elizabeth Elliot and the self-involved hypochondriac Mary Elliot Musgrove. 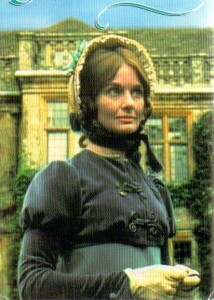 Mary Stockley gave a subtle performance as Elizabeth’s obsequious companion, Mrs. Penelope Clay. I also enjoyed Joseph Mawle’s portrayal of Captain Harville, one of Wentworth’s closest friend. I found his performance quiet and subtle in a very satisfying way. 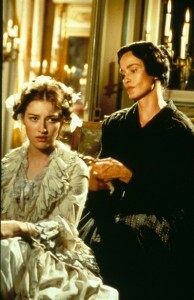 And Alice Kriege’s portrayal of the well-meaning, yet snobbish Lady Russell struck me as very complex and very subtle. 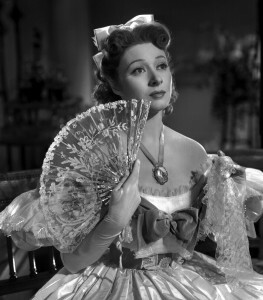 Her performance made Lady Russell seem like a kind woman with a surprising lack of tolerance that ended up wrecking havoc on Anne’s life for eight years. 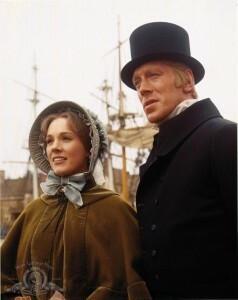 For my money, ”PERSUASION” truly belonged to Sally Hawkins and Rupert Penry-Jones as Anne Elliot and Captain Frederick Wentworth. I believe that both did beautiful jobs in breathing life into the two lead characters. Someone had once complained in another article that in ”PERSUASION”, the two leads exchanged very little dialogue with each other and other characters. This person also added that it almost felt like watching a silent movie. This only confirmed my belief that both Hawkins and Penry-Jones are more than competent screen actors. Through their expressions and very little dialogue, they managed to convey their characters’ emotions, demons and development. Not only did Hawkins express Anne Elliot’s resignation to a life as Sir Walter’s unmarried and overlooked daughter; she also revealed Anne’s despair and discomfort over dealing with Frederick Wentworth’s silent anger and contempt. And in the movie’s last half hour, the actress made it a joy to watch Anne bloom again under the attentions of her morally questionable Cousin William Elliot and Frederick’s renewed interest. One would think that Penry-Jones’ had an easier job in his portrayal of Captain Wentworth. Well . . . he had less screen time. Though his character did strike me to be just as complex as Anne’s. 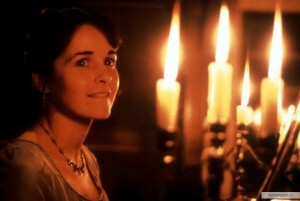 Penry-Jones took Frederick’s character through an emotional journey during the entire film; via anger, contempt, indifference, mild cheerfulness, longing, jealousy, desperation and joy. Some of his best moments featured Frederick’s struggles to keep his emotions in check. More importantly, both Hawkins and Penry-Jones had such a strong screen chemistry that most of their scenes that featured them staring longingly at each other had me muttering ”get a room” under my breath. 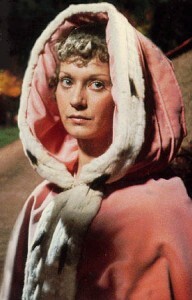 I just realized that I have not mentioned a word about Anne Elliot’s infamous run through the streets of Bath. Many fans have complained that no decent young English lady of the early 19th century would ever do such a thing. 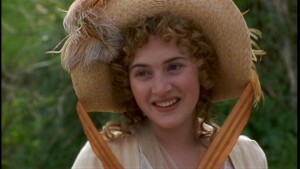 Others have viewed it as simply a ludicrous scene that made Anne look ridiculous. I must admit that a part of me found the sequence rather ridiculous-looking. But I have managed to consider some positive aspects to this scene. 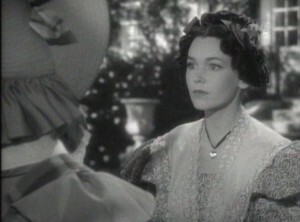 One, it represented Anne’s desperate attempt to connect with Frederick before it was too late. And two, the scene provided colorful views of the very distinctive-looking Bath. Many fans have complained about the movie’s 93-minute running time. They claimed that ”PERSUASION” should have been a lot longer. Perhaps they had a point. 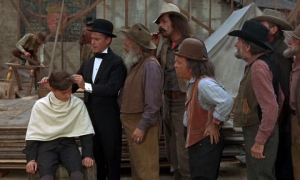 After all, the 1971 adaptation had a running time of 210 minutes. 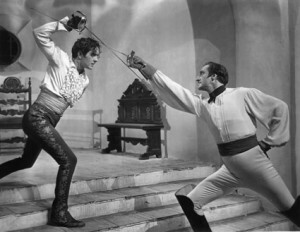 And the 1960-61 version aired as a series of four episodes. 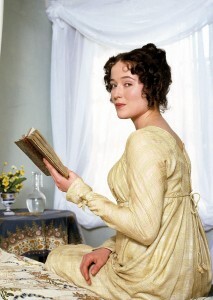 On the other hand, some fans of the movie claimed that Austen’s novel was not as long as some of her previous ones. Also, the much admired 1995 version had a running time of only 107 minutes. 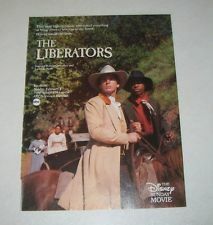 The 93 minute running time for ”PERSUASION” did not bother me one bit. I really enjoyed this latest version of Austen’s novel very much. 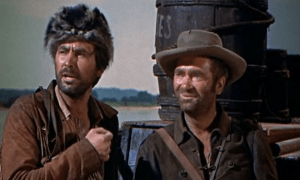 Granted, it had its flaws – namely the handling of the William Elliot character. But I believe that this flaw can be traced to Austen’s novel. 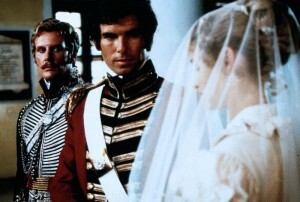 Flaws or not, I enjoyed ”PERSUASION” so much that I immediately purchased a DVD copy of it after seeing the movie on television. In my opinion, director Adrian Shergold’s BAFTA nomination was very well-deserved.